In an unprecedented move, the European Union on Tuesday requested that Italy’s indebted government revise its 2019 draft budget — the first time such a request has been made to an EU member state. On Monday, Italy replied to the Commission's fears that its spending plan was an “unprecedented deviation from EU fiscal rules,” with Rome standing by its original budget proposal and not offering a revision. This sets Italy and the EU Commission on a collision course that could have serious consequences on the Italian economy, and on the rest of Europe as a consequence. What are the Commission's issues with the budget? 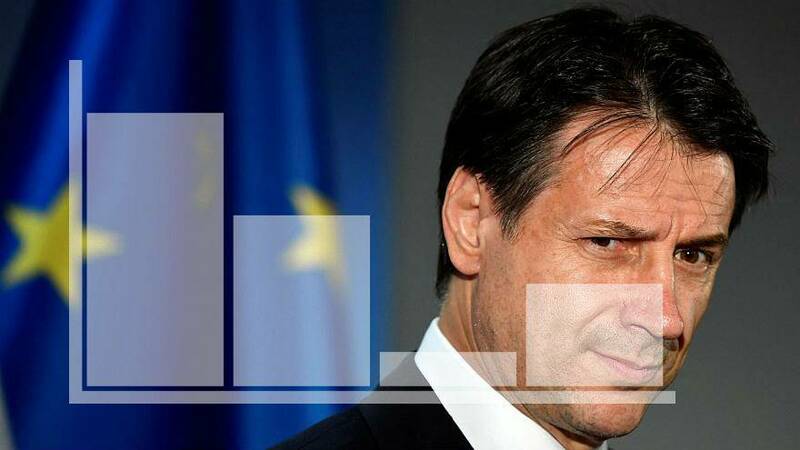 At the end of September, Italy’s populist government said it planned a deficit level of 2.4% of gross domestic product (GDP) next year, tripling the previous government’s target. It added that the deficit would stay at this figure until 2021. The announcement drew criticism from European Commission officials, with Brussels arguing that while the planned deficit does not exceed the EU’s 3% ceiling, the difference between the 1.8% set by the previous government and 2.4% had never happened in the history of EU budget rules. Despite the backlash, Italy's Five Star Movement leader, Luigi Di Maio, remained defiant, pledging not to backtrack “by a millimetre”. Brussels said Italian Prime Minister Giuseppe Conte's spending plan will see Italy's deficit rise by 1.5% but Conte contested this and said a figure of 0.4% was more likely. Some at the European Commission fear Italy's fiscal plan will throw the reduction of the country's debt pile into disarray. The Mediterranean country's debt is the second-largest in the eurozone totalling €2.3 trillion euros — Greece is the only country coming in above this figure. Italy's debts have previously led to Brussels to request that Rome work toward balancing its books. In his rejection of the draft, the European Commission Vice-President for the Euro and Social Dialogue Valdis Dombrovskis said that Italy risked becoming trapped by debt and claimed that, in 2017, Italy spent the same servicing its debt pile as it did on education. Last week, the Commission sent a letter to the Italian finance minister, Giovanni Tria, saying the draft appeared to show "particularly serious non-compliance with the budgetary policy obligations laid down" in European regulation. In response, Finance Minister Giovanni Tria said Rome planned to stick to the draft, calling the decision to increase spending "difficult though necessary," in a letter to the European Commission, published Monday. He blamed the "difficult economic situation the poorest segments of the Italian society are facing" along with slow economic growth. Italy now has three weeks to come up with another plan after Dombrovskis officially rejected the country's current proposal at press statement in Strasbourg.